As I wrap up my research into clinical analytics/population health for this year’s Market Trends report, I have been enjoying long and entertaining calls with the vendor community. Without fail, vendors enjoy lobbing insults at their competition (though I might tire of hearing them). Best-of-breed vendors especially like to recount massive clinical data integration projects that have gone awry (with some NLP-ranting thrown in for good measure). 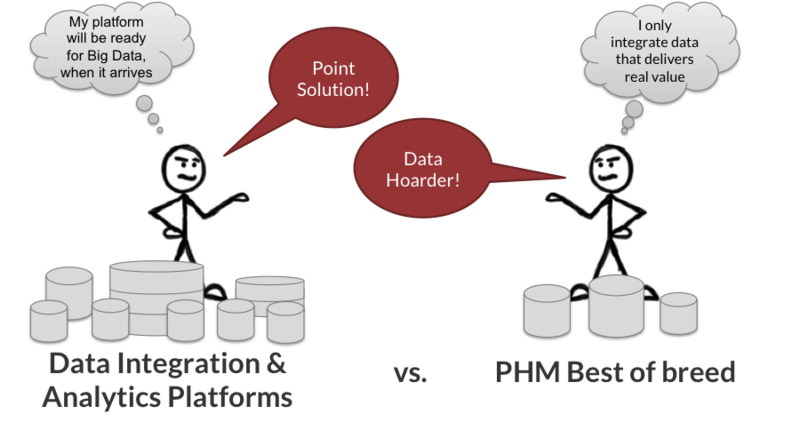 Platform analytics vendors take fewer shots, but generally look down their noses at “point solutions” – good for today, but not tomorrow. PHM best-of-breed products align right in with “mass market” needs: physician practices, smaller hospitals, ambulatory MSSP, PCMH, even larger HCOs. These needs center around quality measure reporting – care gaps, registries, numerators & denominators, patient outreach, physician benchmarking…you get the point. This is also a market with one foot still firmly planted in fee-for-service, so plenty of those “care gaps” are really about driving volume. Yes, there are more and more experimental risk-based contracts popping up, (mainly MSSPs), and so these best-of-breed vendors also tend to offer claims-based risk scoring, population analyses (quality, cost, utilization), leakage analysis – and always the obligatory physician benchmarking. Low cost and SaaS-based, the best-of-breed approach does not break the bank and is a necessary entry point for providers taking their first steps away from FFS! Implementations, MDM, data quality issues are not as complex, because less data is integrated (including billing, paid claims, PMS, select clinical data). Note: this is not to say that these integrations are cakewalks. They are not, especially when best-of-breed vendors ingest more and more clinical data. Data Integration & Analytics platforms, in contrast, are suited towards the very high end of the market taking on real risk: payer-provider-hybrids, large HCOs forming narrow networks, Hospitals self-insuring employees and launching health plans, and other large-scale analytics needs. Platform vendors also offer PHM apps, though their vision is more in line with being able to support any use case the healthcare system might decide to throw at them over the coming decades, e.g., today it is population health, but tomorrow, it will be something else. I have no doubt that clinical data integration/advanced analytics will have to eventually make it to those small 100-bed rural hospitals (for example), though this will be a long and drawn out timeframe. This is most likely to happen when they are acquired or tightly, clinically integrated with a large HCO, or possibly join group purchasing organizations that supply tech+services. Clinical data becomes more structured, of higher quality, adhering to common standards, and more trusted. The same goes for all other data sources coming on the scene. Providers & payers magically agree to adopt standards for clinical business rules: quality metrics, physician attribution, disease states, registry attribution, care pathways, enabling app-ecosystem plays. Analytics technologies become all-powerful: data mining unstructured text, monitoring patients’ health in real-time via wearables & social media, reading clinician’s minds – all of which will make today’s ETL look stone-age. BTW, your doctor is now a computer. Given the glacial pace of the healthcare industry, I am placing my bets that these two markets will remain as-is for years to come. Platform vendors and best-of-breed are right to disagree – they serve distinct markets with distinct needs. For my part, in my golden years, I hope to have my biometrics constantly monitored by my doctor-as-a-computer. Nice post Cora. It reminds me of the “best of breed” vs “integrated” clinical information system positioning of the 1990s. The battle lines were drawn and the market wondered which side would win. The informaticists at the time promoted a “best of breed”, standards-based, API driven world view where application heterogeneity was recognized as inevitable and work was focused on creating momentum around increasingly sophisticated levels of data and process interoperability between ADT, Reg, Sched, HIM, Patient Accounting, EMR, and Departmental Clinical applications. Smaller vendors knew that the barriers to entry for fully integrated enterprise EMR were too high and argued that monolithic enterprise s/w created unhealthy lock-in that was bad for market innovation and for patient care. The enterprise vendors painted the picture that sophisticated levels of systems interoperability could never work due to the real world complexity of semantic and workflow choreography. They stuck to their knitting and inexorably began to gain share as the market matured. As you say, and as we have seen with EHR, there is room now in the market for both types of analytic solution sets. However, my bet would be that we’ll see a shake up similar to what we saw in the EHR space, and over an equivalent time period of 10-15 years. The new equilibrium (if there is such a thing) will be towards enterprise analytic platforms that acknowledge that their survival is predicated in interacting well with other “best of breed” transactional and analytic systems.